Be enchanted by this Melbourne hotel and apartment accommodation in the heart of the city. 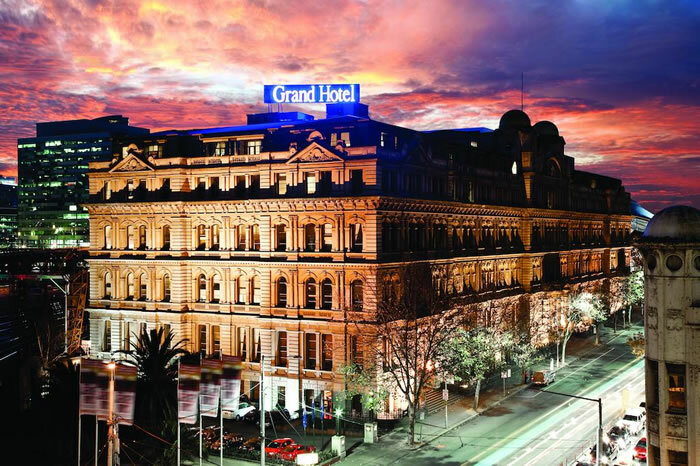 Quest Grand Hotel Melbourne is a historic Melbourne icon, offering fully self-contained apartments with a modern kitchen. Guest facilities include an indoor heated pool and spa pool, fitness center with sauna, and an elegant bar and restaurant. 400 MB of free WiFi is included per day. The land on which the hotel now stands was originally known as 'She Oak Hill', the colony's first race track. However, in 1833, the hill with its 20-acre paddock became home to one of Port Phillip's best-known residents, John Batman. After his passing (1839), in 1841 the government took control of the land and cottage, establishing an 'office' from which Superintendent Charles Latrobe and Police Magistrate William Lonsdale would administer the colony of Port Phillip until 1846. In 1886 as owners of the land and due to the proximity to Spencer Street and Flinders Street Stations, the Victorian Railway Commissioners looked to develop the site for their new offices. Engineer of the then existing railway lines, William Henry Greene, was commissioned to prepare plans for construction.